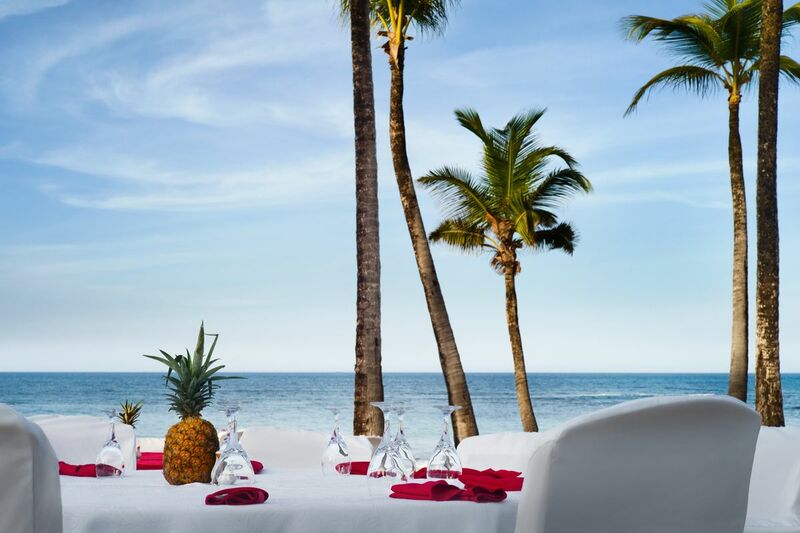 The Excellence Punta Cana adults-only resort along the beautiful eastern coast of the Dominican Republic sits on fine white sand in a gorgeous palm grove, ready and waiting for a perfect destination wedding. 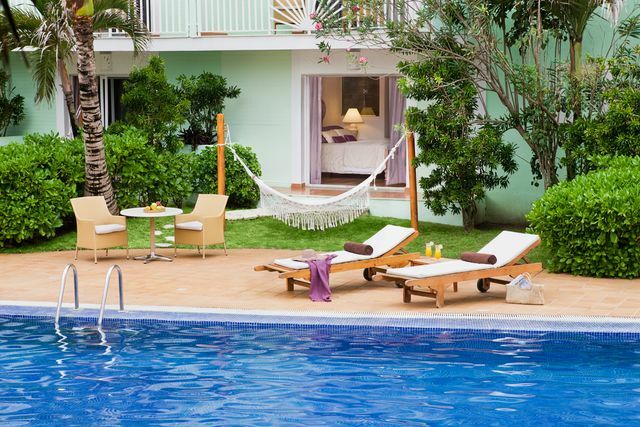 The resort’s design is inspired by colonial influences, with enormous pools that wind throughout the entire property, and the beach always just steps away. There is nightly entertainment that provides the authentic rhythms of merengue. 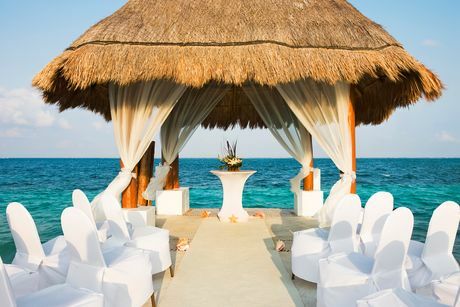 No matter where you choose your Excellence Punta Cana wedding ceremony to be, either on the beach or in the elegant stone gazebo, you and your guests will be surrounded by classic luxury. The resort reopned in November 2017 as a brand-new resort with new activities and amenities on offer for a destination wedding, while still providing the trusted Excellence service. During some months the waves may be too rough for your wedding guests to swim in. 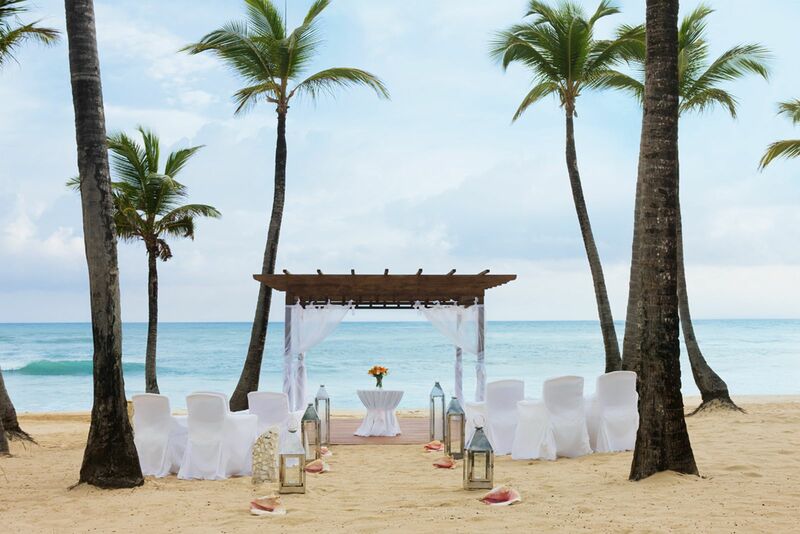 As an adults-only resort in a truly secluded location away from more popular Punta Cana areas, you can expect a tranquil wedding ceremony and excellent service to make every detail stress free. The entry-level Excellence wedding package becomes complimentary when you reserve a Excellence Club Ocean View category or higher for a minimum 7-night stay, or booking a bridal party with 5 rooms of any category for a minimum of 7 nights. Upgraded packages, additional guests, and add-ons are available for an additional cost. $130 – $250 average price per person per night. Rooms include private balcony or terrace, minibar, and whirlpool bathtub. There are 464 rooms with garden, swim-up, mountain, and ocean views. The resort is able to accommodate mobility impaired guests. Beach Gazebo – 75 guests max, Stone Gazebo – 30 guests max, Sunset Gazebo – 30 guests max. This hotel allows a maximum of 3 adults per room. This resort is adults-only for guests 18 and older. 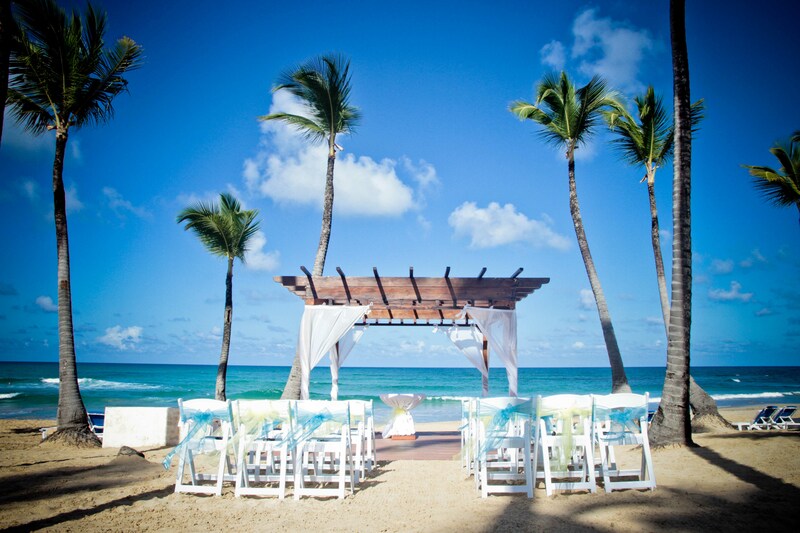 Excellence Punta Cana can host up to 3 weddings per day. To book a specific venue with a certain date in mind, it is highly recommended to book at least 6 months in advance. According to the wedding department the busiest times for weddings are March through June. The resort is located 28 miles from the PUJ airport. Q: How long have you been a wedding coordinator and how many weddings have you coordinated? A: 3 and a half years, and 200+ weddings. 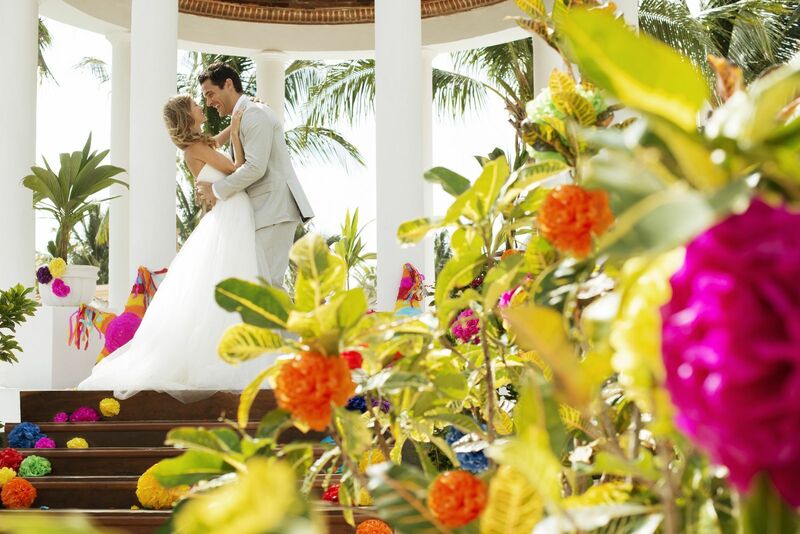 Q: What makes your resort a great place for a destination wedding? A: The wedding package, the beautiful weddings venues and the professional services of our staff. Q: What are the challenges brides face when planning their destination wedding at your resort? A: Wedding date not available. The complete planning is through email and the bride does not have a real view of venues and the flowers details. Q: What is your favorite part of a destination wedding? A: The knowledge of several cultures. When people come from different countries it allows me to learn their tastes and customs. Q: Can you tell us an anecdote about one of your brides when you saved the day? A: Last May, one of the brides had problem in the airport with her luggage. The airport’s staff informed the bride that her luggage had been lost. When she arrived to the resort she was really upset because she brought all of the dresses for the bridesmaids. In our onsite meeting it was first thing she did explained to me, so I got all her information and I called the airport. Unfortunately they did not have good news. As a second option I invited the bride to go shopping and we found beautiful dresses according to her wedding colors. 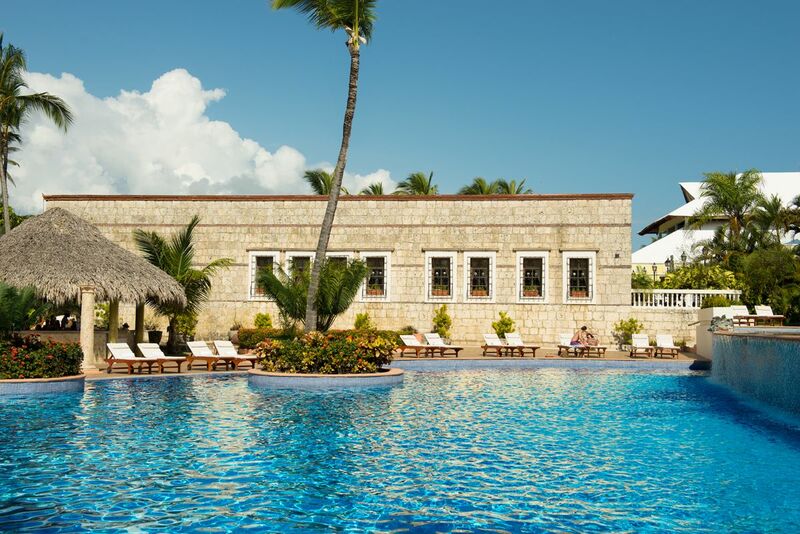 “From the moment we arrived until the time we left, my wife and I were thoroughly impressed with the Excellence Punta Cana. Everything was perfect. You couldn’t ask for a more scenic, peaceful, and relaxing setting. The sprawling grounds were expertly manicured, the food at all of the restaurants was top-notch (overall much better than any other all-inclusive we’ve stayed at), and the service at each of the bars was great.